Singapore Airlines and Virgin Australia. Australia’s competition regulator approved an extension of Virgin Australia’s alliance with Singapore Airlines (SIA) for a further five years. The Australian Competition and Consumer Commission (ACCC) said on Friday the alliance, which was first approved in 2011, “has resulted, and is likely to continue to result, in material public benefits”. While Virgin and SIA had asked for a 10-year extension, the ACCC said its decision to approve the tie-up for only the next five years reflected the changing nature of the aviation sector. “In light of the ongoing evolution of services between Australia and the United Kingdom and Europe and between Australia and Asia, including Virgin Australia’s proposed expansion of services into Asia, and the dynamic nature of the aviation industry, the ACCC considers it appropriate to review the authorisation earlier than the requested 10 years,” the ACCC’s final determination said. While Virgin does not operate to Singapore with its own aircraft, the airline has proposed mounting flights to Beijing and Hong Kong from June 1 2017 in partnership with Hainan-based HNA Group. The Australian carrier also flies nonstop to Bali from Sydney and Brisbane, while SIA offers one-stop services to Bali from the Australian destinations to which it flies. The ACCC said SIA’s flights to various Asian points from Australia via Singapore, “do not provide a significant competitive constraint”. “The ACCC considers that, for services between Australia and each of Denpasar-Hong Kong-Beijing, passengers are unlikely to consider Singapore Airlines’ indirect services via Singapore to be a close substitute for Virgin Australia’s non- stop services,” the ACCC said. Further, there were a number of other airlines offering one-stop itineraries to between Australia and Asia. “The ACCC considers that these rival airlines are likely to constrain the ability of the applicants to raise price [or] reduce services on their overlap routes,” the ACCC said. Final approval followed the ACCC’s draft determination issued in August. In their May application, the two carriers said they would develop systems to better recognise their high value guests travelling on each other’s networks and flagged the use of data analytics to offer an improved customer proposition and services to customers, helping increase passenger numbers and earned revenue. 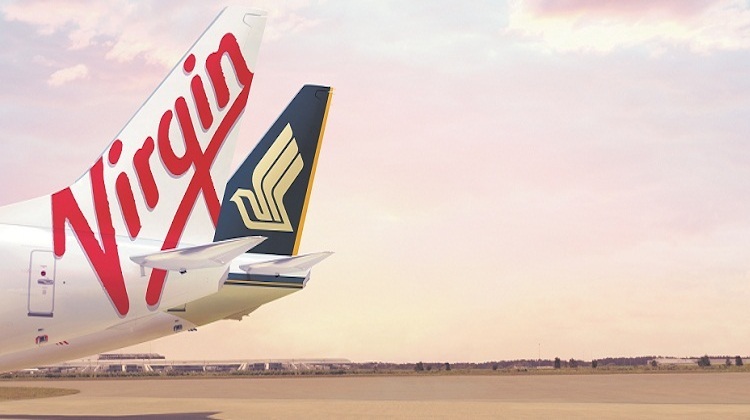 Virgin said in a statement the alliance had resulted in new services, such as SIA’s recently launched Singapore-Canberra-Wellington route, as well as flights to Cairns and Darwin operated by the Singapore carrier’s regional wing Silkair. The pair currently had a joint network of 75 codeshare destinations in Asia, Europe and South Africa connecting onto 49 destinations in Australasia. Virgin chief executive John Borghetti welcomed the ACCC approval. “Together with our alliance partner Singapore Airlines, we look forward to continuing to provide Australian travellers with choice and competition on routes from Australia to Asia and Europe,” Borghetti said in a statement.